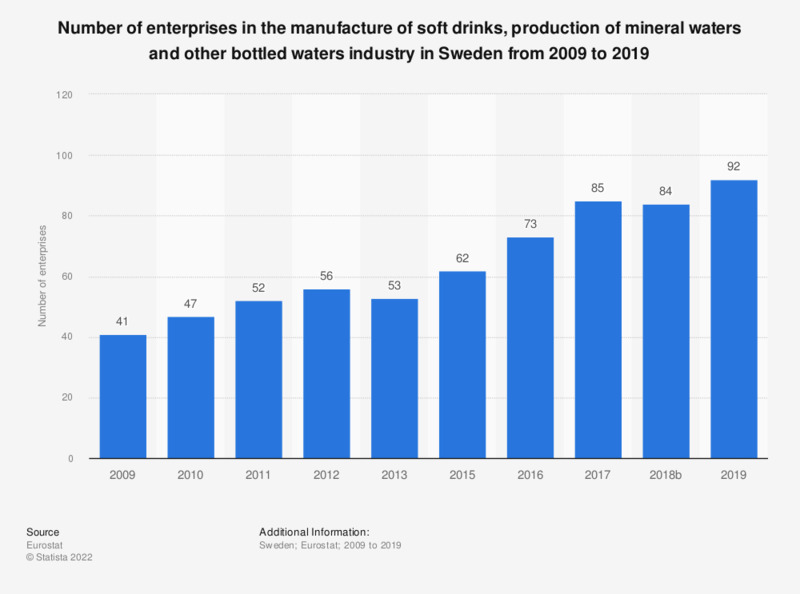 This statistic shows the number of enterprises in the manufacture of soft drinks, production of mineral waters and other bottled waters industry in Sweden from 2008 to 2016. In 2015, there were 62 enterprises in this manufacturing sector in Sweden. Data for the year 2014 was held as confidential by the source.